But this got me thinking. I’ve been hearing more and more about gluten-free beers that are coming into the market place to capture up the ever-growing market of gluten avoiding beer lovers. 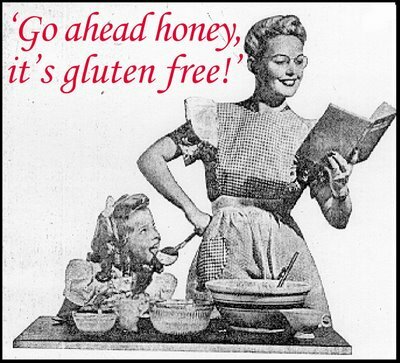 If you aren’t familiar with the gluten-free on-goings these days, the majority of the awareness has come from the more readily diagnosed Celiac disease. Celiac disease is essentially an auto-immune response to certain peptides (found in gluten) that has some pretty nasty symptoms. The only real remedy is to completely avoid gluten. An important distinction however, is that Celiac Disease and a wheat allergy are not interchangeable. So…there are some folks out there that avoid wheat, but eat other sources of gluten without problem. One important comment I read was essentially “why risk it?”. With so many alternative choices out there producing non-wheat based vodkas for example, Chopin from potatoes and Ciroc from Grapes, what’s the point in drinking the others. But that still limits you at weddings, happy hours, dinner parties, and I’m not so sure I’m convinced one way or the other. So I’m leaving it up to you Gluten-Free readers. What do you do when choosing liquor? Have you ever had a bad reaction to a wheat based vodka? I’m allergic to wheat and sadly have to forego beer (except barley wine). I haven’t had any problem with vodka and usually drink Absolut (which is made from grain), but then again, I don’t have Celiacs. Either way, I love it when I walk into a bar and it has gluten-free beer! Perhaps Cow Thieves can work on a GF beverage?! Hey Angie! Thanks for the input and glad to hear that GF beers are coming around. Sounds like things are going real well at leionthewater.wordpress.com!!!! So glad to see it!